Can’t give up your worldly possessions to stay permanently in Coron? Just get a glimpse of this gem. But if you have less than four days to enjoy its sights and attractions, how do you choose? I can help you get started. 1. Want to get high? Head to Mt. Tapyas to scan the vastness of Coron. 2. Stop by Pedro’s Gelato to replenish the calories you burned from hiking. When you reach Coron Town Proper, you will find this shop along the street right beside Tea and Shakes. While you wait, you can browse some books and ogle some bikes suspended on the ceiling inside the store. Make a conversation with the shop keeper, ask questions like ‘are you Pedro?’ or ‘where’s the best pizza place here?’ Anyway, their creamy, not-so sweet gelato was excellent. 3. If hiking isn’t your thing, check out Lualhati Park instead. It affords a different view of sunset, which can be also quite magnificent. Known also as Bayside Plaza, this small walkable park has an unobstructed view of the bay and nearby islands. Also present are local families, boatmen and students. There are only a few tourists in the area but remember that this is in September, a low season so it might be different during high season (February – April). 4. For take-your-breath-away scenery, nothing can beat the Twin Lagoon. 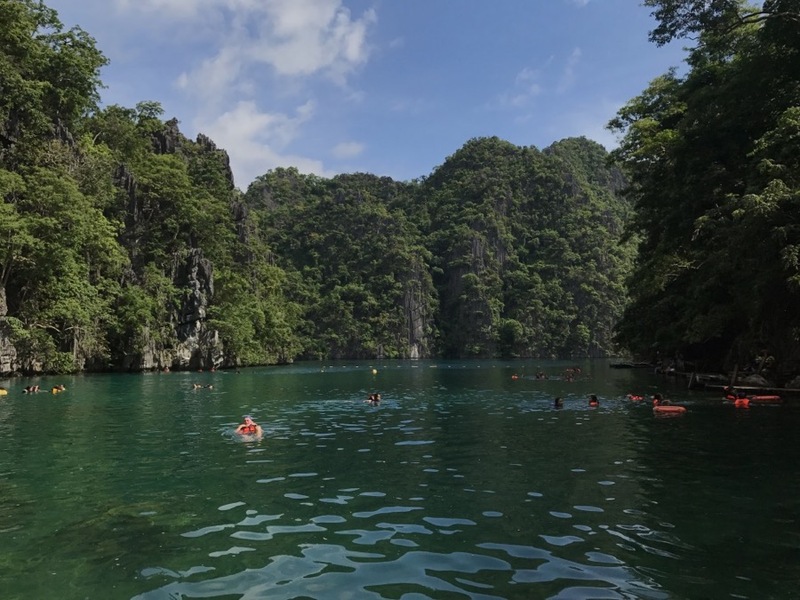 Colossal limestone cliffs greet you as you make your way inside this lagoon. 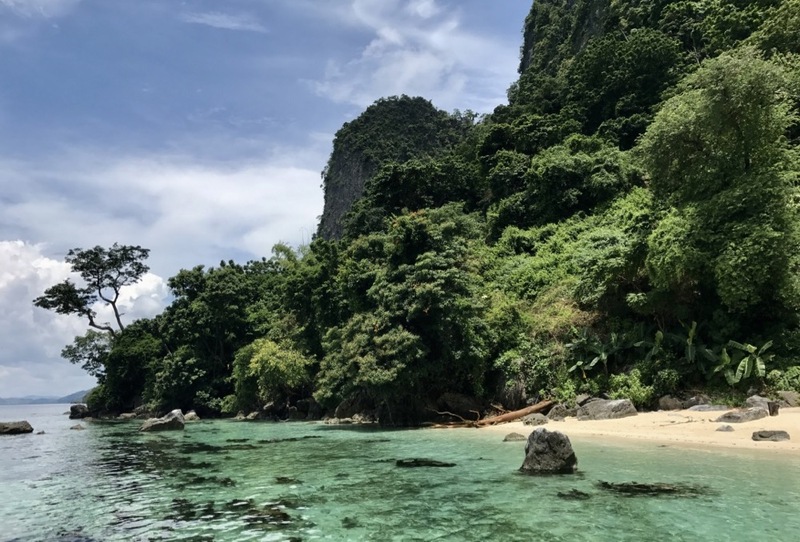 There is a small passage to the Twin Lagoon and as soon as you get in, you will be surrounded by a spectacular wall of limestone rocks inhabited by plants, birds, and other creatures you’d rather not think about. However, you can’t keep a place this beautiful to yourself so expect to share it with other tourists and travelers. Some rain showers are a welcome treat while swimming inside this enchanting space. It would have been the perfect spot for introverts if not for yelling photographers and tour guides (who are, of course, just looking out for your safety). 5. Get some needed respite and beachtime at CYC Beach and Smith Beach. If you book an Ultimate Tour, CYC Beach and Smith Beach might be included in your island hopping trip. At this point, feast your eyes on the dramatic combo of white sand beach and towering rocks. Our cameras failed to capture this view, unfortunately. That’s a great reason for you to see it for yourself. 6. 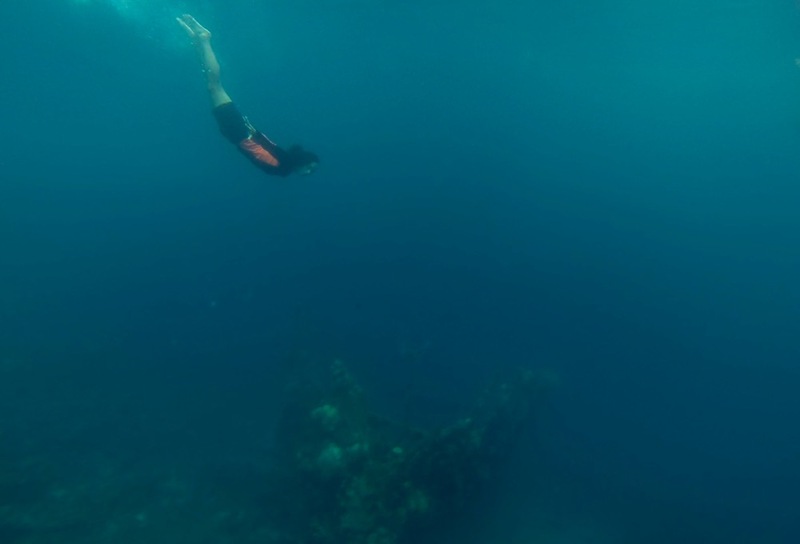 Whether you are a free diver or not, the Skeleton Wreck is a must-dive. See how far you can dive and get as near as you can to this Japanese shipwreck. Pray for a good weather for better visibility of the wreck underwater. I don’t remember exactly what happened to the ship and how it was conveniently placed in this spot. This can be a good conversation starter with your tour guide, if you ever need one. 7. 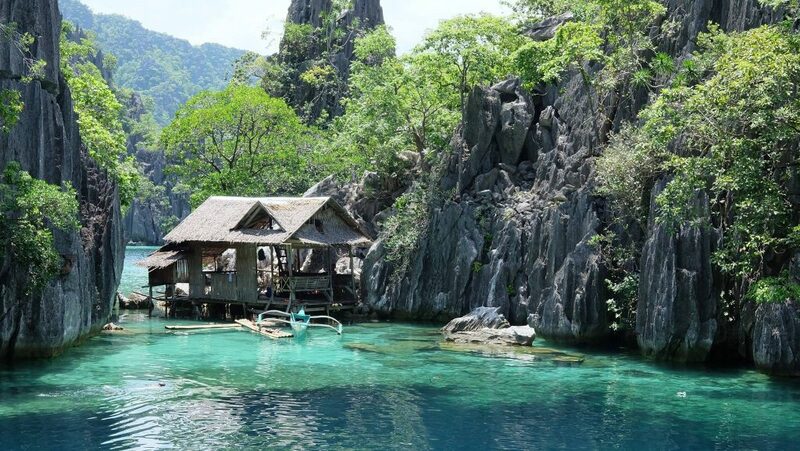 Brace yourself for Coron Island’s most crowded lake, Kayangan Lake. 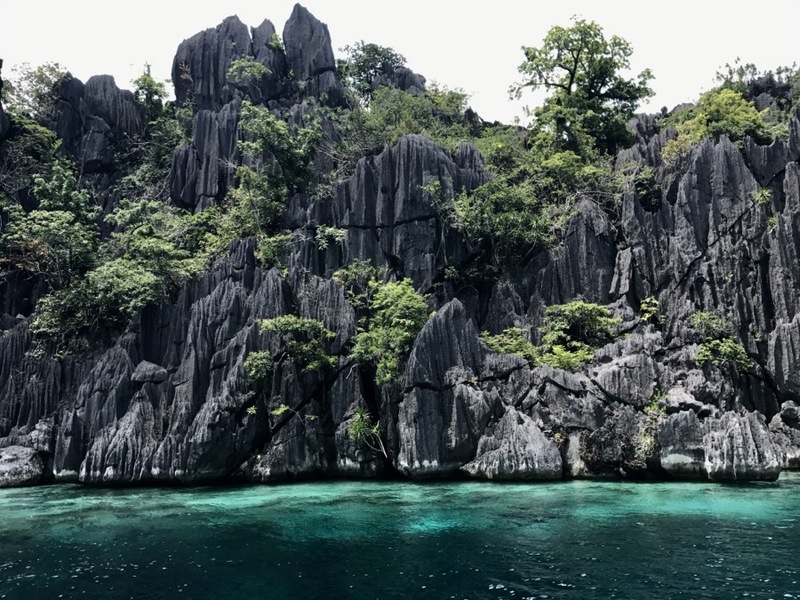 In a way, it’s a good thing the Tagbanuan people, one of the oldest people in the Philippines, restricted access to other lakes in Coron Island. Explorers will still be rewarded with a postcard-perfect photo on your way to Kayangan Lake. Simply climb 300 steps to get to the lake and plunge your tired body into the water. Kayangan Lake’s underwater scene was scary at best so stay afloat and look up to the sky. Listen to chirping birds and stay as far away as possible from the crowds. 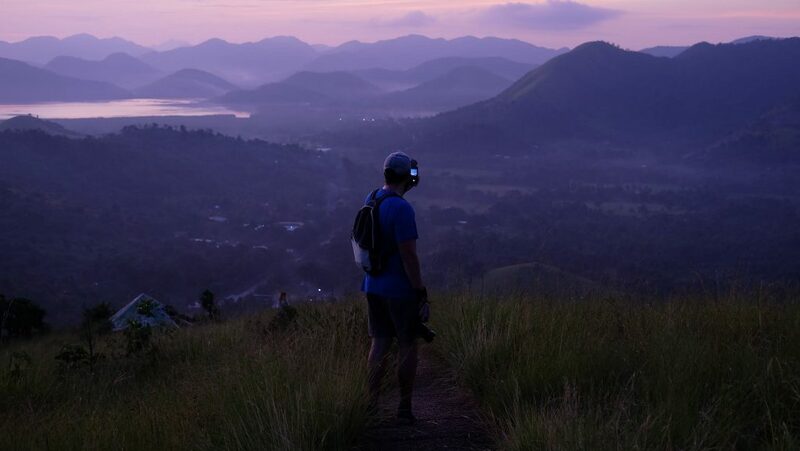 If you are staying only for four days and three nights, plan a relaxing stroll on the first half day, take a hike or go for a horse-riding trip (Rancho De Baluyot) on the second, go for an Ultimate Tour on the third day, and relax again on your last day in Coron mainland. Your plan really depends on the length of your trip and your budget. In my opinion, this Coron Itinerary is a good introduction to the island. Take a ferry from Coron to El Nido. Based on the posted ads we’ve seen, it only takes around three hours to get there. That’s better than the 7-hour van trip from Puerto Princesa to El Nido. Take SCUBA diving lessons and visit wrecks like a pro. Taste a cup of coffee roasted by Tagbanuan people. I heard it’s good! We noticed that many travelers rented motorbikes to explore Coron mainland. It’s convenient for those who know how to drive. Unfortunately, I can’t drive a motorbike. Another option is to rent a bike in Coron. Days prior to this trip, I was rereading Ancestral Waters by Jacob Maentz. Very inspiring feature. Is It Okay to Visit Coron in September? We went to Coron last September 8 to 11 and enjoyed a great weather. While Coron mainland got some rain, it wasn’t continual. I remember swimming to Siete Pecados searching for sea turtles while there was light patchy rain. They didn’t show up, of course. But throughout the tour, the weather was sunny and pleasant. It’s cheap to travel during off-season so many Filipinos are taking advantage of discounted hotel rates and airfares. I can’t imagine traveling to Coron when the summer heat is at its worst and tourists are clogging the highway and top attractions. So, traveling to Coron in September was a good choice. 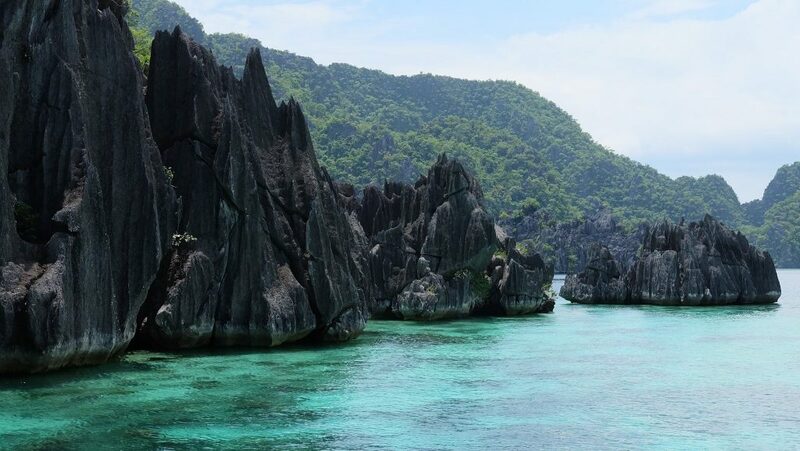 Have you been to Coron? Help other travelers choose what to do and where to go by leaving a comment below. Thanks!